Likud minister blasts plan by Arab lawmakers to lobby UN to condemn Israel over Nationality Law. 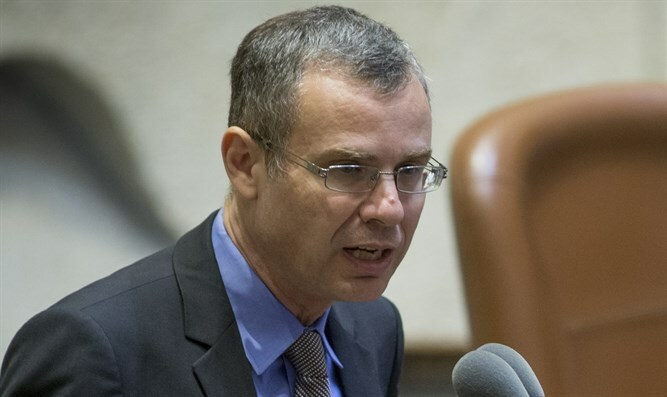 Tourism Minister Yariv Levin (Likud) excoriated Arab lawmakers on Monday over their plans to push the United Nations to adopt a resolution condemning Israel’s passage of the Nationality Law. In mid-July, the Knesset passed the controversial ‘Nationality Law’, which codified in Israel’s Basic Laws the state’s status as the nation-state of the Jewish people, and established Hebrew as the sole official language, while giving Arabic a special standing. The law declares that Jerusalem is the capital of Israel and sets the Hebrew calendar as the official calendar of the state. Arab lawmakers objected to the law, denouncing its affirmation of Israel as the nation-state of the Jewish people as an ‘apartheid’ measure which discriminates against the country’s Arab minority. On Sunday, Israeli media outlets reported that the predominantly Arab Joint List party is preparing a resolution for the United Nations which would censure Israel over the Nationality Law. It is unclear whether the resolution would be introduced in the General Assembly or the Security Council, where the US would likely veto it. On Monday, Minister Yariv Levin blasted the proposal, calling its backers traitors to the State of Israel. A day earlier, Knesset Speaker Yuli Edelstein (Likud) condemned the proposed resolution, tweeting: "Members of Knesset from the joint list who receive salaries from the state and win all the parliamentary tools still dare to besmirch our name in the world." "Anyone who collaborates with the Palestinian Authority against Israel should ask himself whether his place is in the Palestinian or Israeli parliament," Edelstein wrote in his Twitter account.